Happy Monday!! 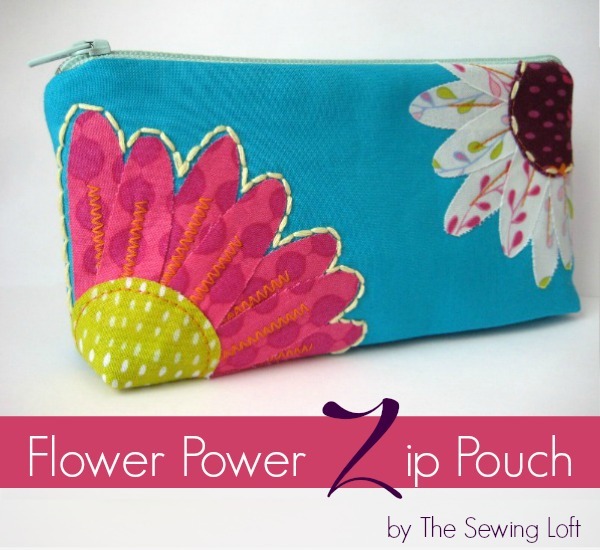 I’m excited to have my flower zipper pouch pattern be part of the sew crazy challenge at Crazy Little Projects today. 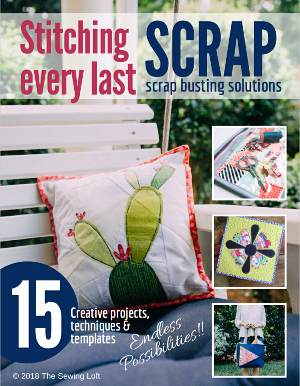 Amber is hosting a series that tackles different sewing challenges we encounter. So, since many stitchers are intimidated by the word “zipper” , I thought this pouch pattern was perfect. I promise with a little practice you can stitch them like a pro! *Tip- Want to use a longer zipper? Check out this post for shortening instructions. Trace flower petals and center shape on the paper side of fusible. You need between 7 – 9 petals for each flower. Leave approximately 1/4″ between each piece. With a cool iron, iron the fusible on the wrong side of your fabric. Carefully cut out pattern pieces. Set aside. Following manufactures instructions; fuse interlining to wrong side of main fabric pieces. Position 1st layer of flower petals on the front of your bag. Iron in place as per packing instructions. 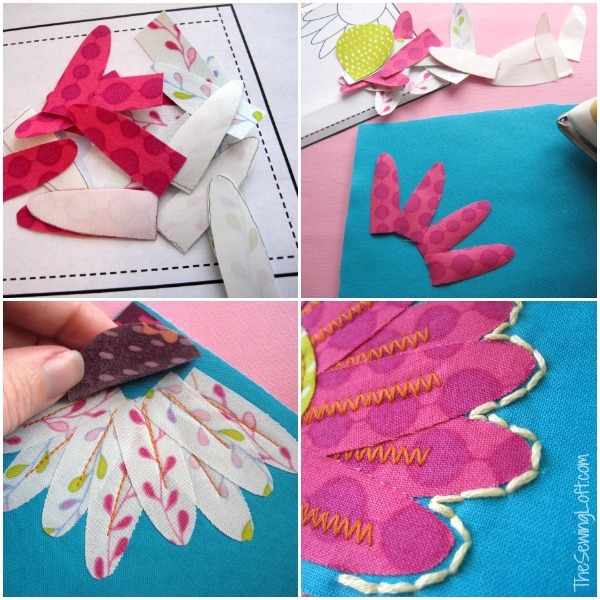 Add a decorative stitch in center of petal. Repeat the process for the 2nd layer of petals. Attach center and stitch in place. Repeat for other flower. Hand embroider a contrast running stitch. Position zipper (teeth side down) on the right side of fabric along top edge of bag. 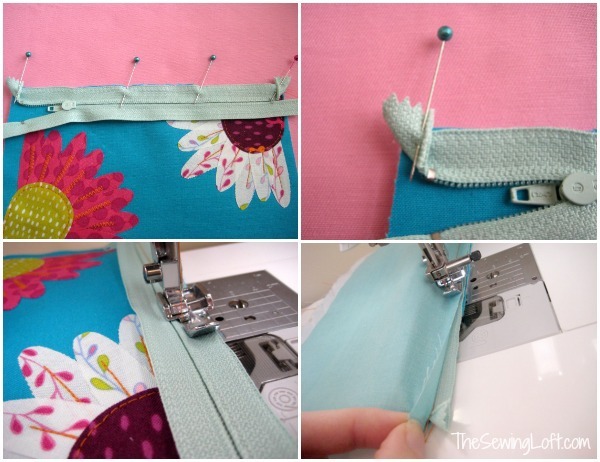 Turn back the tail of zipper at a right angle towards seam allowance. Layer lining on top, right side down. Pin in place. 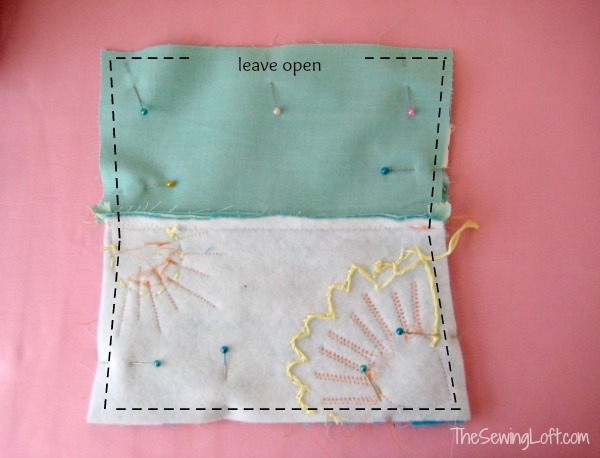 Sew with zipper foot and straight stitch. Repeat on opposite side. Press open: stitching lining and zipper tape together. Flip fabric so that the exterior fabrics (pretty sides) are together and the lining pieces are right side together. (Zipper will be hidden in the middle.) Open zipper half way. Pin edges together, leaving 3 1/2″ opening along the bottom edge of lining. Straight stitch all around bag; making sure to get close to the zipper ends. Box stitch the corners by pining each corner together and aligning the side/bottom seams. Use a ruler and fabric pen to mark a perpendicular line 5/8″ from point. Straight stitch; trim and repeat for all corners. Turn right side out; press and straight stitch the hem opening closed. Ready to get started? 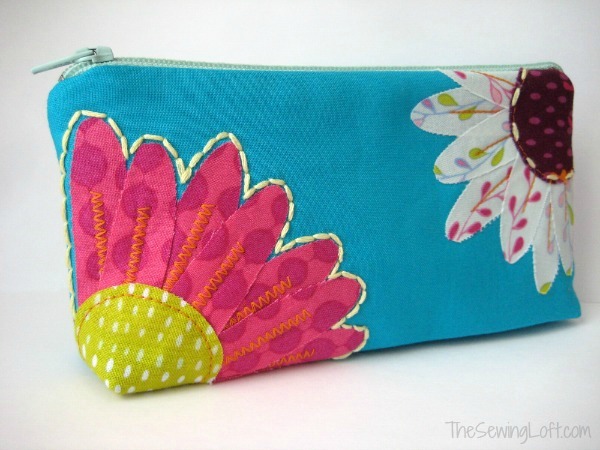 Great, grab your flower zipper pouch pattern here. Think you have zipper installation down? 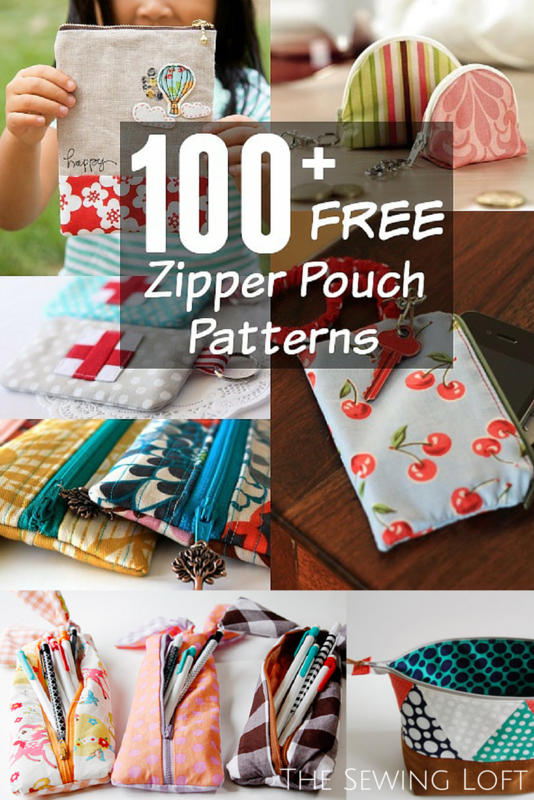 Then you will want to check out this round-up of free zipper pouch patterns. ps- don’t forget to swing by Crazy Little Projects. Amber has a bag filled with a goodies that she is itching to give away! If so, I’m glad you stopped by and hope that something has inspired you to keep your needle moving! Don’t miss a single project and subscribe via email HERE! 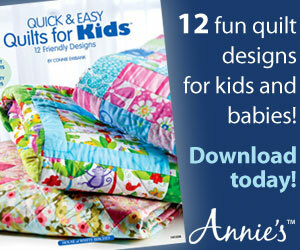 Bonus- free template download with newsletter sign up. Another great way to connect with me is via Facebook, Pinterest, Twitter, Google+ or Follow my blog with Bloglovin. I’m looking forward to getting to know you and creating together! This is so cute Heather!! I seriously love the flower design on the front!! Thanks Bev! I was drooling over the pretty purse you made this morning! I love the metal closure and the lace detail. Fantastic! Thank you Heather, just what I need. You are awesome. So glad you like it! Please be sure to share a few photos of your finished bag in our flickr group. I would love to see! Hey.. I need a little help. I put fusible fleece on the petals and main material. I tried to iron them into the front and they won’t stick.. What am I doing wrong? Oh Dear! I’m happy to help Becky but I need additional info. Did the fusible stick to the wrong side of main fabric or nothing at all? If nothing at all check your iron temp and be sure to leave it in position for a few seconds to “heat up and activate” the adhesive. If you are using double sided fusible and it is not working something to check is the iron temp. Sometimes, my iron has been too hot and melted the adhesive. Let me know if either of these are helpful and we can try to go from there. On the main material it is attached wrong side of fabric . Do I put more on the petals? Can I post or send you a picture? You bet! Post it on the facebook wall and I can take a look. Ok.. I’m not using the right fusible fleece.. I think it’s single sided!! On the petals I need the double sided right? Yes, double sided on the petals. Can not wait to see. All done! Making these for my girls so by the time I’m done with all 3 I’ll have it down! Becky, I love the way they turned out. Thank you so much for sharing a photo on Facebook.